Coinfloor.co.uk Review 2019 – Scam or Not? Due to the crazy BTC value, there are a number of exchange websites that are getting traffic lately. Today, we will be looking into one of the older exchange websites that have been operating for a good amount of time and look into what they have in store for us. We will be creating an account with them, explore their website features, and try to know them better. Without further delay, let’s talk about that! There are a lot of websites that offer exchange services today, but it is really hard to look for the best one that caters to your specific region. Coinfloor.co.uk is proud to say that they are UK’s No.1 Bitcoin exchange. The company was founded in 2013 and has been providing exchange services to people from the UK region. The website’s success has also attracted a lot of big investors such as VC Fund, Passion Capital, and Taavet Hinrikus. Officially the name of the company is CoinFloor Ltd. and has their main office located in 1 Quality Court, London, WC2A, 1HR, United Kingdom. The company is registered under the UK business registration number 08493813 but isn’t registered with the FCA. Though they are not registered with the FCA, they maintain legal contact with them and make sure that they provide a series of policies and procedures that help protect their customers. Creating an account is easy! Just head on to their website and click on the SIGNUP button located on the upper right-hand side of the homepage. To start creating an account, you need to provide them with a valid email address and a password for your new account. After that has been provided, a confirmation email will be sent to the provided email. The customer then needs to go through 2FA security procedures to create an account. 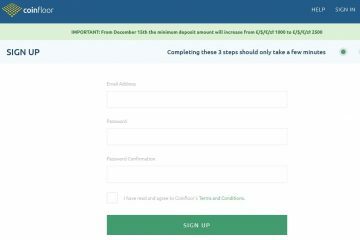 After this step, you will be redirected to a page wherein you are able to enter a referral code (if you were referred by an existing customer) or provide personal details to verify your account. What’s great about this website is that they are not shy about letting people know that they are paranoid when it comes to security. They have a data protection plan which is top-notch. Did you know that they are registered with the Information Commissioner’s Office under the data protection act where the company is required to store their entire customer’s personal data to the highest standards? Yes, they have that here. Their registration number is ZA002203. Two-Factor Authentication is also available for their customers to take advantage of. This security feature should be always present when it comes to websites that have access to not only your personal information but funds as well. Their storage system is up to 100% of all their total customer coins which means that everything is stored offline. Of course, customers would have daily withdrawals and this is being shouldered by the company themselves creating a withdrawal limit of 2 BTC per transaction and a maximum of 3 times per day during business hours. Due to the nature of how they store their coins, manual confirmation is done to add another layer of security. There are different types of accounts you are able to get here at Coinfloor.co.uk. They have the private account where clients are able to buy and sell BTC through the CoinFloor OTC. On the other hand, they’ve got the corporate account that has also the same ability as the private account but with larger limits. The trading platform is very easy to navigate and does not have any fuss when it comes to trading your favorite crypto/fiat pair. The design is also maximized to prevent any latency issues and is very responsive. What’s even better is that their website’s trading platform is optimized for mobile access as well. The most important part of an exchange website would be their fee schedules. This is to ensure that even though how wonderful a website is, you need to make sure that you can afford what their services. There are no fees when it comes to buying BTC and exchange trading fees does not exist here at Coinfloor.co.uk. Here they accept multiple deposit and withdrawal options for their customers to choose from. To name the deposit options they’ve got BTC, BCH, GBP, EUR, PLN, and USD. Deposit fees range from 1.50 EUR per transaction up to $10 USD. What’s really shocking is that their minimum deposit amount for Fiat currencies starts from 1000 USD/PLN/EUR/GBP. There’s no fee for crypto deposits but the minimum amount is 0.0050 for both BTC and BCH. Withdrawal fees are a different story since they charge 0.0005 BTC/BCH per withdrawal transaction. They charge 10.00 GBP, 1.50 EUR, 1.00 PLN, and 15.00 USD for withdrawals. Minimum withdrawal amount ranges from 5.00 PLN up to 20.00 USD. Deposit and withdrawal percentages with a detailed explanation are listed here. Coinfloor.co.uk is not that bad if you compare it to top exchange websites today. They offer a variety of security features that every trader would love to have. Imagine the reaction you get to websites that are not this obsessive when it comes to customer security! There are some customer complaints but this is mostly regarding their customer service and not the whole operation itself. All-in-all this website is perfect for traders that are residing in the area due to the number of payment options they provide. Please let us know in the comments section below on what you guys think about this website. 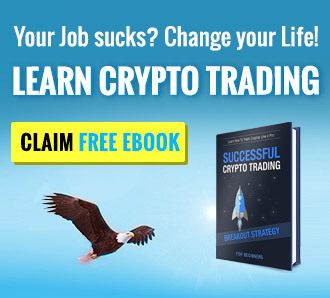 Have you lost reasonable amount to any kind of investment scam, I lost so much to different forms of investment scam From Binary option, forex, Cryptocurrency and several other scams. I felt sucidal and quite foolish until I met Binaryoptionrecoveryspecialist (dot) (com) they helped me recover all my lost funds in a week so grateful and happy to share.